It's here - insert happy dance! 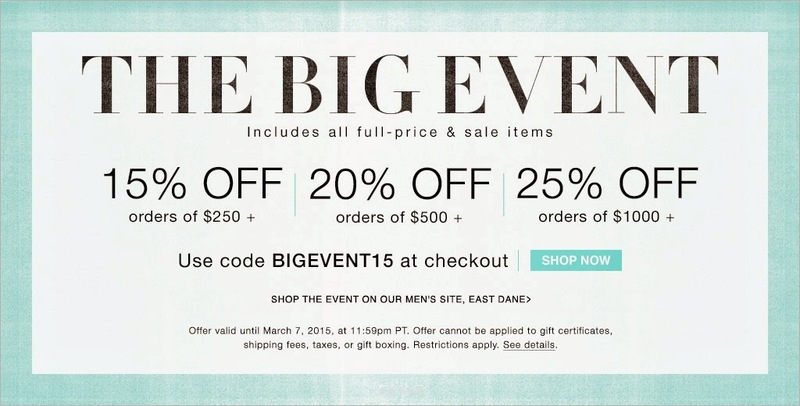 The big ShopBop sale started yesterday and it is always one of the best ones that they have. Now is the time to purchase those big splurge items that will be in your closet for years to come. They have an amazing selection of Tory Burch and I am really wanting to add these to my wardrobe. Dreaming up all the items I feel like MUST be added to my summer wardrobe, including this perfect bikini. What are you shopping for? Let me know and thank you so much for reading!